Selling on eBay, Amazon or with your online store? Wondering how to skyrocket your sales? Use expert advice to take your ecommerce business to the next level! 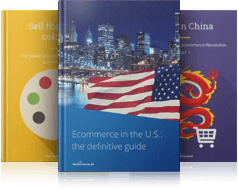 Why, how and what to sell internationally? Is there a perfect time of year, or even day, to sell products from a particular category? What are common mistakes made by retailers selling abroad? Which keywords will sell your products? How to produce satisfied customers and promoters of your brand? Here you will find answers to many mind-boggling questions that can truly help your online store start a whole new chapter! This section compiles quality interviews with our online sales experts, specializing in different ecommerce areas, e.g. sales, international shipping, customer experience, global ecommerce solutions and much more.